For Humvee enthusiasts, the consumer-class Hummer is a godsend, and remains an extremely popular vehicle on roads across the nation. Yes, there is a lot to love about the Hummer, but navigating them can be tricky, as they don’t always come with backup cameras. That’s why we offer Hummer backup camera systems. 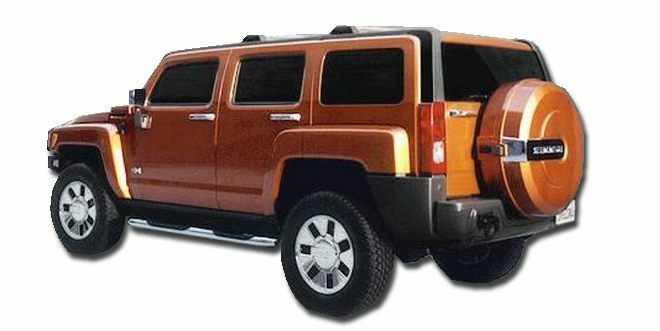 Hummers are wide vehicles that position the driver higher above the road than the standard car. If you rely on your Hummer’s mirrors to get a view of what’s behind you, you’ll only see a fraction of the road. Our Hummer backup camera systems solve this problem by giving you a 120° view of the rear roadway, with the option to upgrade to a 170° view. Some drivers enjoy taking Hummers off road, using them to blaze through tough terrain. If you drive your Hummer this way, it’s important to have a backup camera that’s designed to perform under adverse conditions. Our Hummer backup camera kits are created to withstand tough weather and bumps and keep on the recording. If it’s hard to see what’s behind your Hummer, a backup camera system from Tadi Brothers can give you the capacity to drive with more safety and confidence. Whether your Hummer stays on the street or also rolls through the woods, we have the perfect backup camera for your travels. Order it today!